The following Research was devised and conducted by Working Smart for The Geological Society Careers Day. Oil Companies and Service Companies were invited to participate and they kindly registered their views on graduate recruitment trends, practices and skills required. They also provided practical advice on securing a position in this Industry. Question 1: Do you hire graduates? Question 2: Why do you hire graduates? Question 3: How do you hire graduates? Question 4: How often do you hire graduates? Question 5: What is the minimum academic qualification required by your company? Question 6: We feel it is important to indicate to graduates the level of graduate recruitment spread in the current market place. 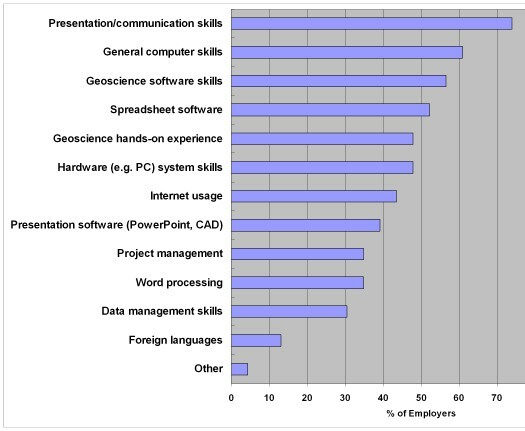 Please specify on average, how many Graduates you hire each year for the following professions? Question 7: Do you provide training for graduates? Question 9: What skill set would you like to see graduates equipped with before employment? Question 11: Please select what attributes you feel are important for graduates? Question 14: Why do you not hire graduates?